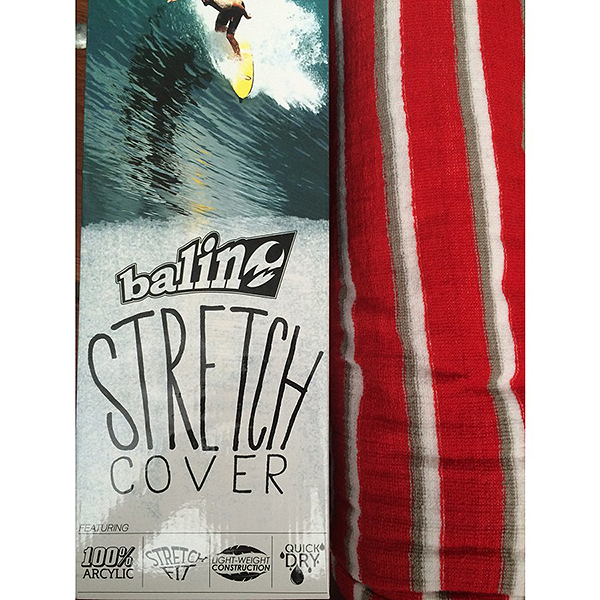 100% Acrylic quick dry fabricLight weight board protection.Dust and Scratch protection..
Balin Big Boy Stretch Boardbag. 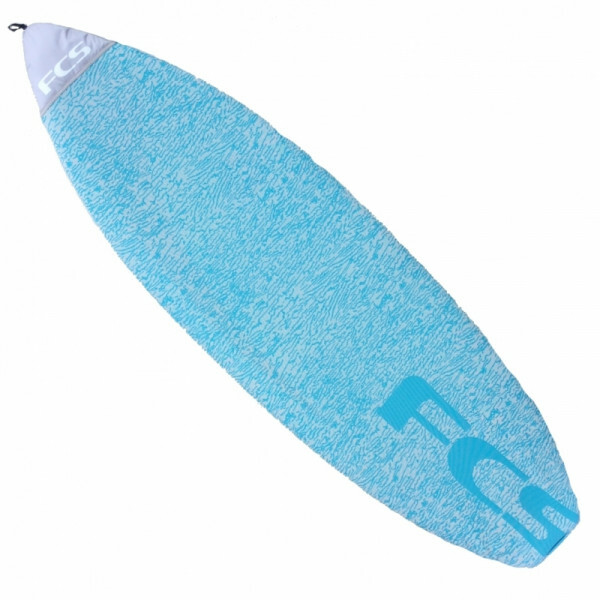 Good value level 1 surfboard protection. Thick acrylic. 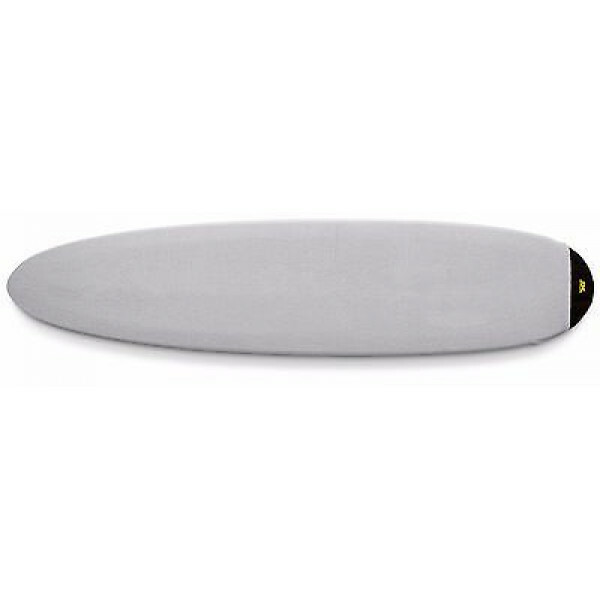 ..
100% Acrylic quick dry fabricLight weight board protection.Dust and Scratch protection6'0″, 6'3″ , 6'6″ , 7'.0″ , 7'6″ , 8'.0″ , 8'6″ , 9'.0″ , 9'6″ , 10'.0″ , 10'6″Please State your size when payingShipping & Handling.Due to the size of the boards Shipping and Handling is done byCourier Only Au.. 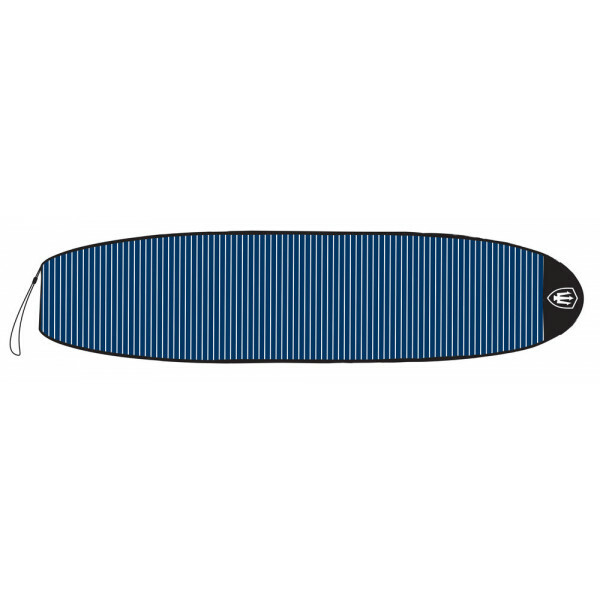 The Balin Surfboard Stretch Covers offer light weight board protection. 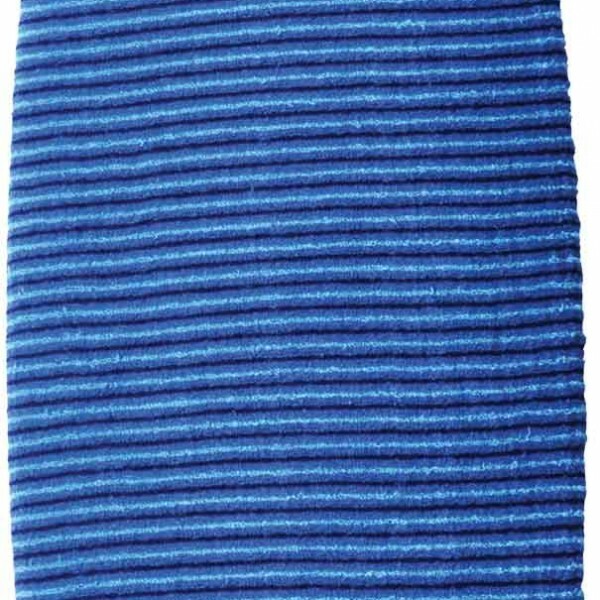 The stretch fit covers are made from 100% acrylic, and dry quickly. 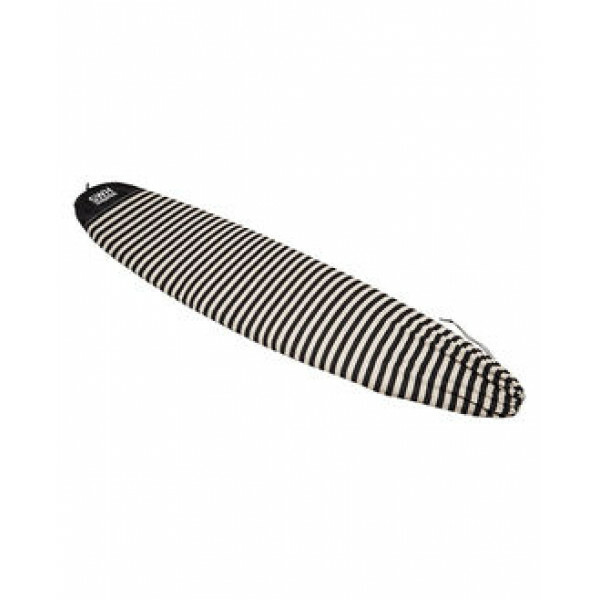 These covers offer Dust and Scratch protection only (as well as keeping wax off your car).. 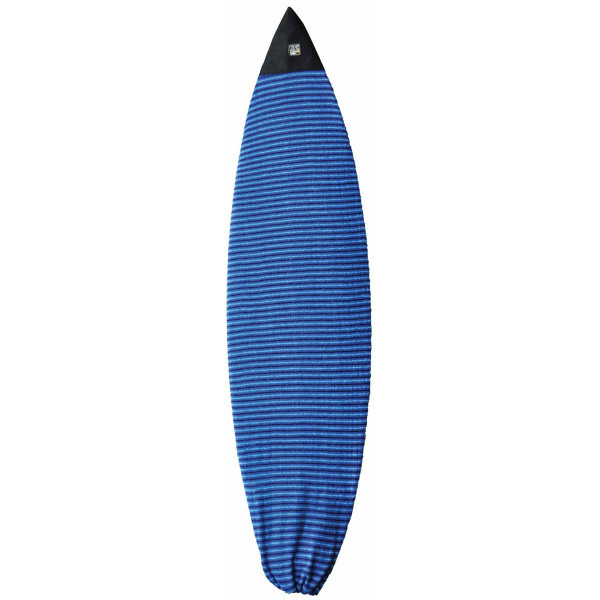 Style: Surfboard CoverDraw cord closureAll over stripeSwell detailingBag Width: 508mm..
Dakine 8'6" Knit Surf Bag - NoseriderThe Knit Surf Bag Noserider is the ideal minimalist sleeve-style protection for your longboards whether in transport, in storage or a long day at the local break. This high-quality acrylic bag offers UV shielding and ding protection with a 600D polyester padded n..
FK 9'0 Longboard Stretch CoverDesigned for Longboards 9'1 ft and underMade from quality materialProtects from wax, scratches, dust and UV lightDraw cord closureProtective enforcement at nose..
Lightweight protection for Fish & Funboard designs.Source: https://www.surffcs.com/shop/surf-surfboard-covers.. 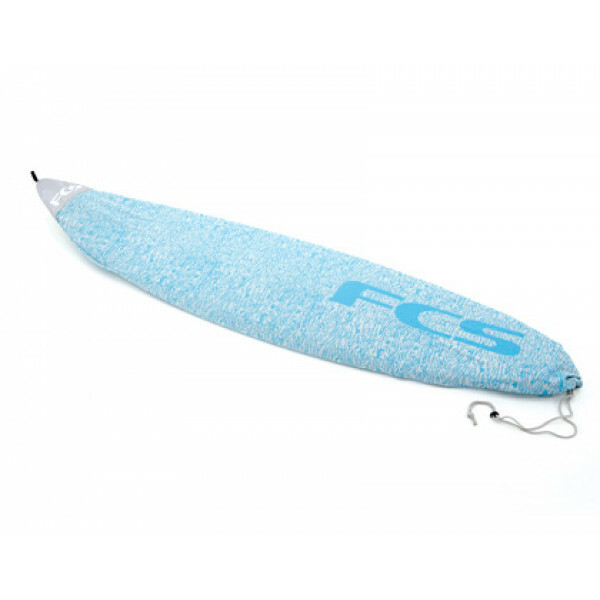 This 7ft6 FCS surfboard sock stretch cover is the cost effective solution to protecting your surfboard. 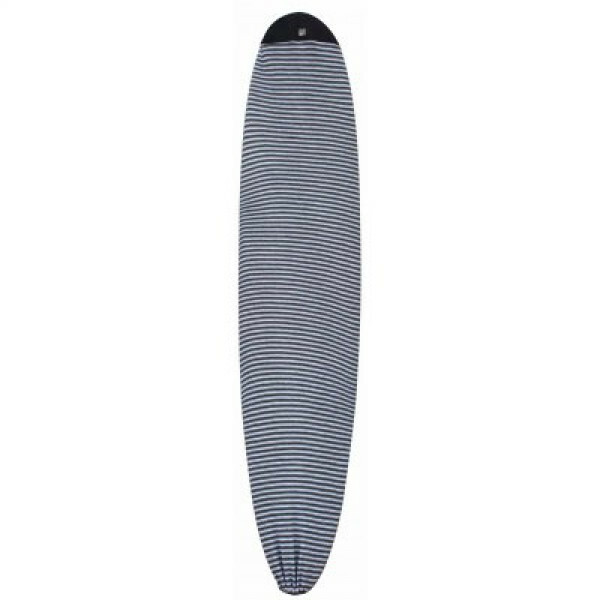 The tough, breathable polyester knit fabric protects against dirt/dust knocks and the sun, and also keeps surf wax off the inside of your car.FCS 7ft6 Funboard Surfboard Sock Stretch CoverExtra to..